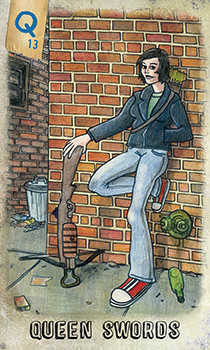 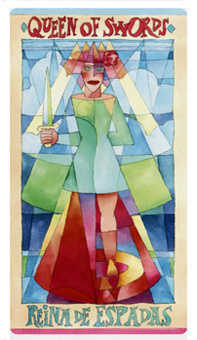 This is a good time to assert your individuality. 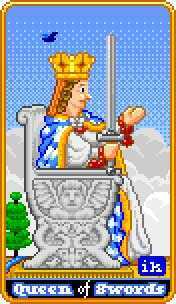 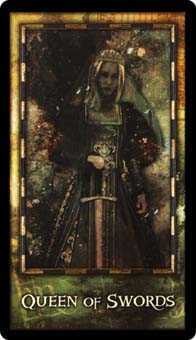 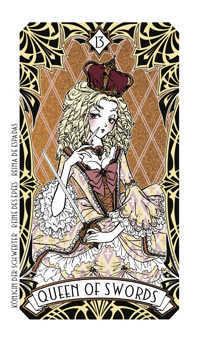 Renaissance deck © U.S. Games Systems, Inc. 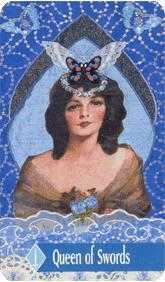 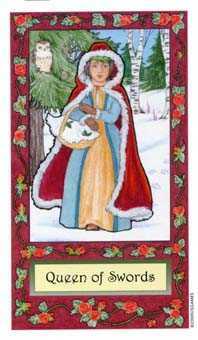 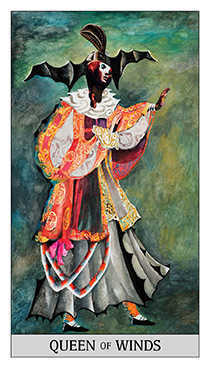 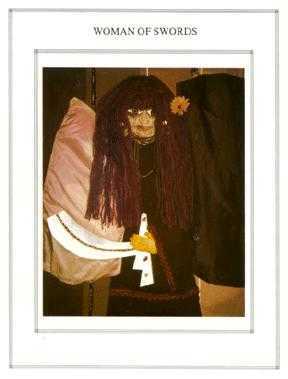 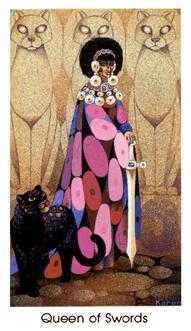 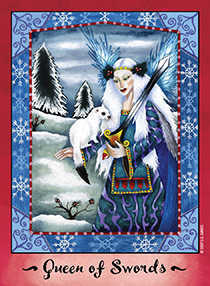 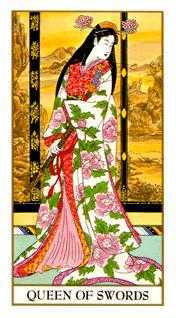 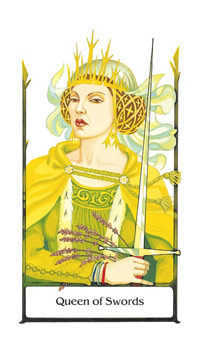 Representing the energy of a Queen, this feminine power was traditionally known as a widow, crone or divorcee. 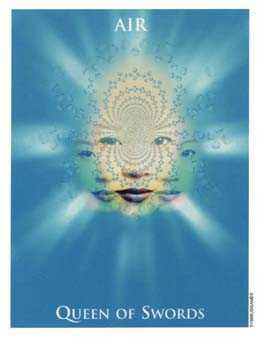 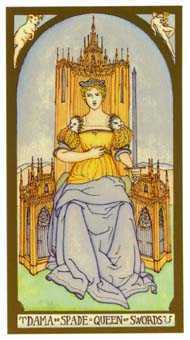 In modern times, she can be viewed as a model of self-sufficiency, independence and intelligence. 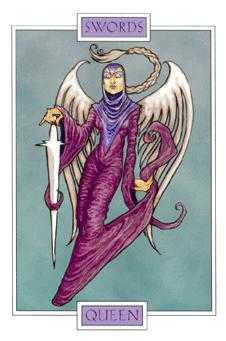 She often has extremely high standards due to her subtle sensitivities, which can be perceived by those around her as being critical or hard to please. 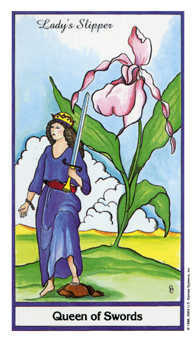 Her true motive is to refine the world, to upgrade peoples' understanding -- so that everyone can have the space they need to become fully themselves. 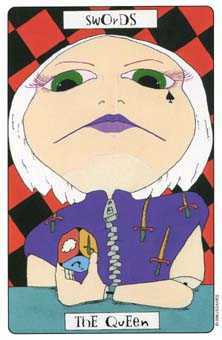 She is not interested in conforming. 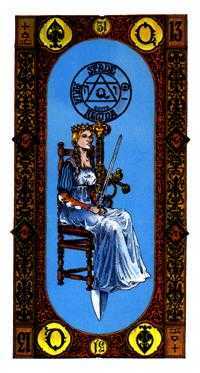 She is too intelligent to be confined to the role of housewife or nursemaid, although she is perfectly competent in those areas. 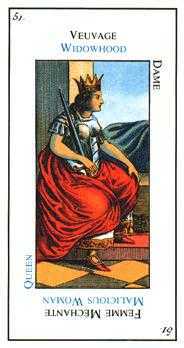 She chooses her associations (or her solitude), and is seldom caught up in dependent relationships -- at least not for long. 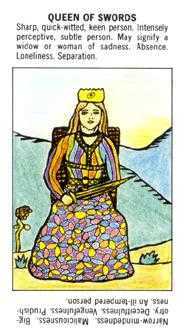 Her intelligence is not always the most comfortable to be around, but she can be counted on to see through superficiality and point to the truth of a situation. 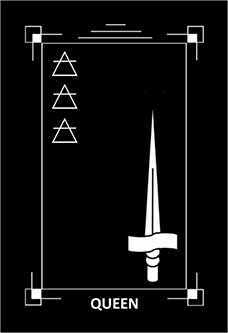 Make your own decisions. 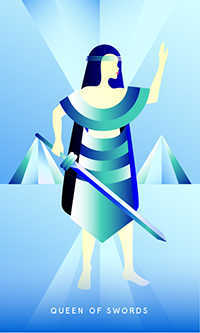 Exercise as much independence as you know you can handle. 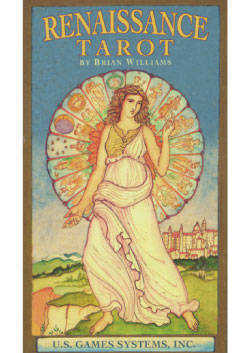 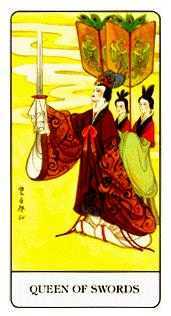 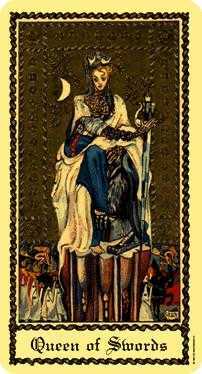 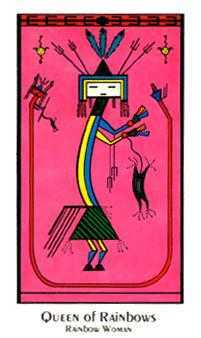 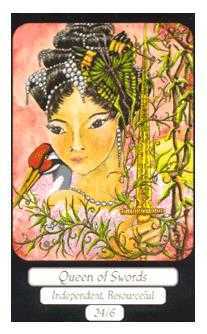 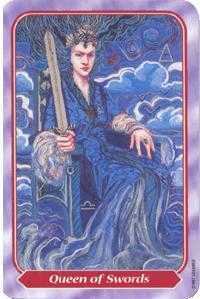 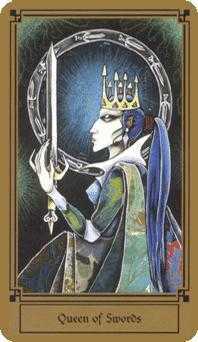 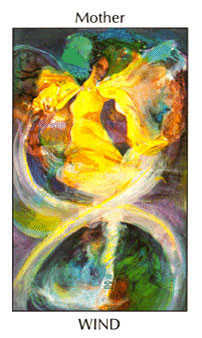 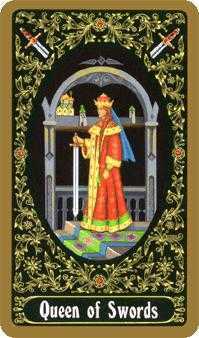 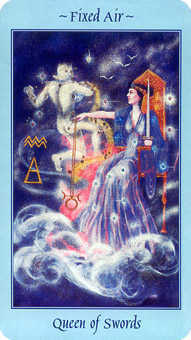 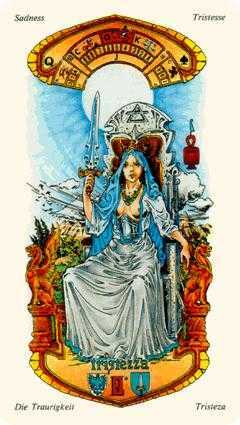 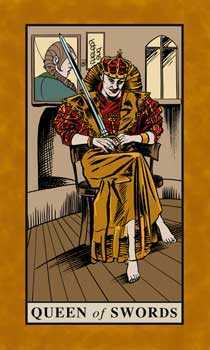 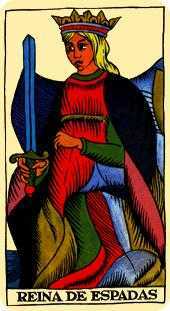 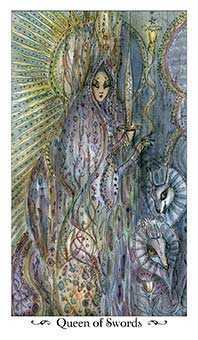 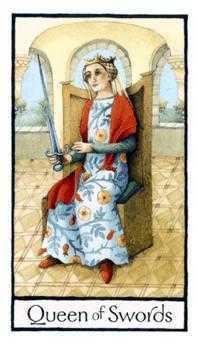 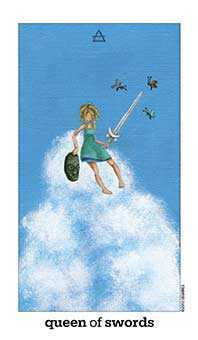 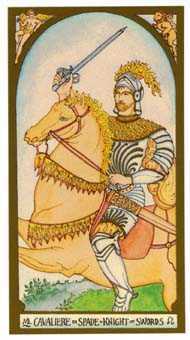 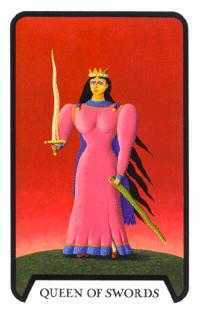 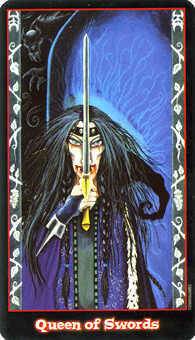 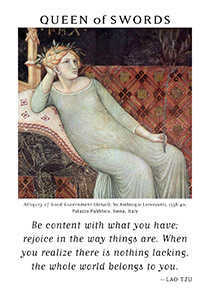 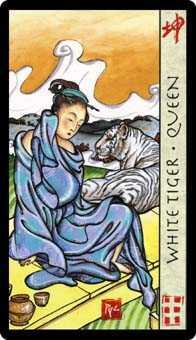 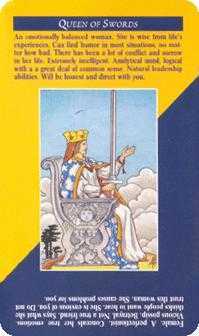 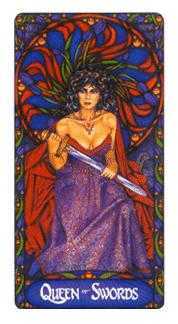 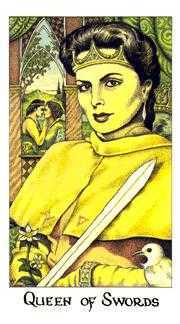 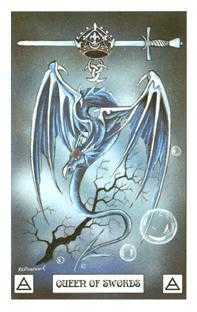 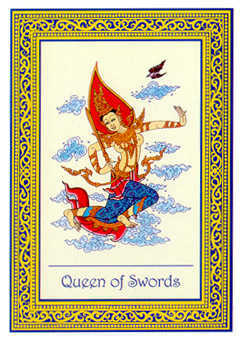 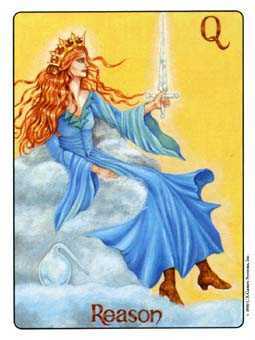 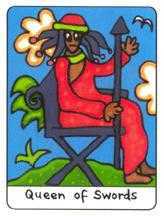 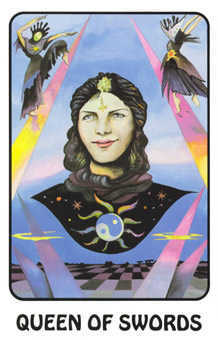 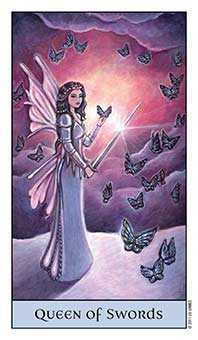 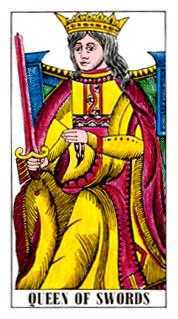 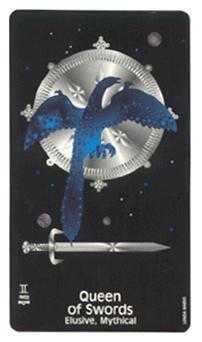 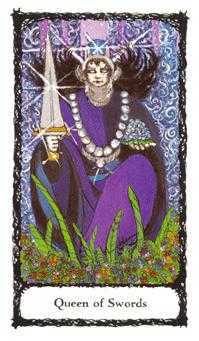 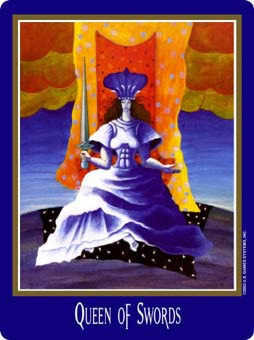 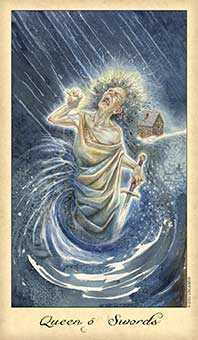 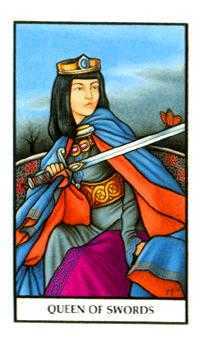 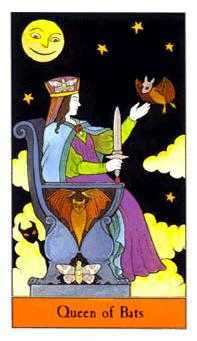 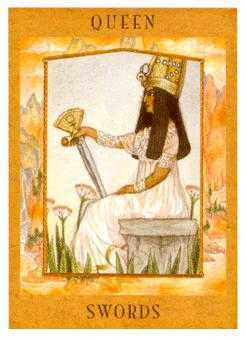 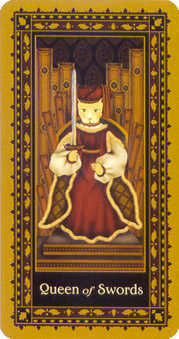 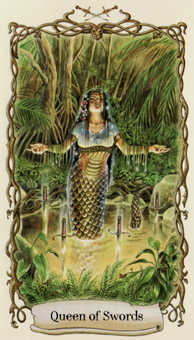 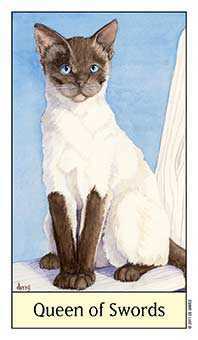 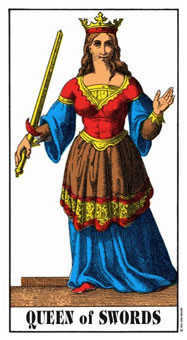 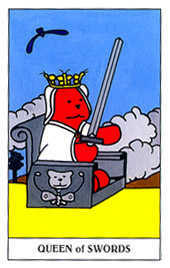 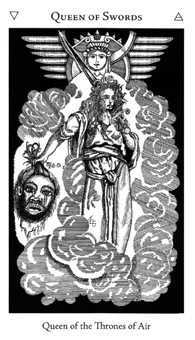 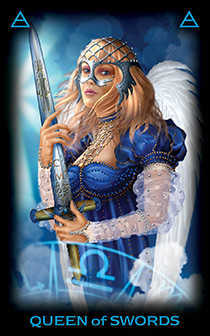 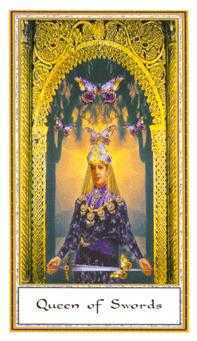 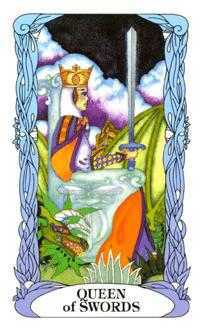 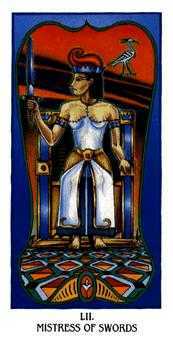 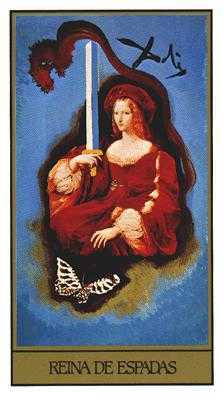 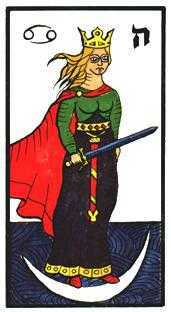 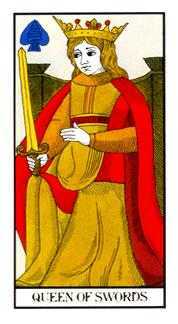 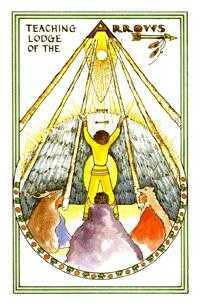 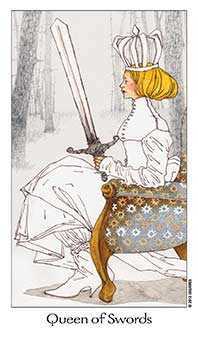 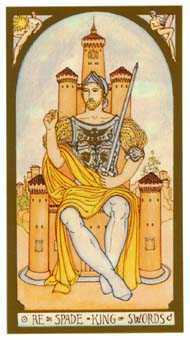 The Queen of Swords in this position advises that you refrain from remaining dependent on others at this time. 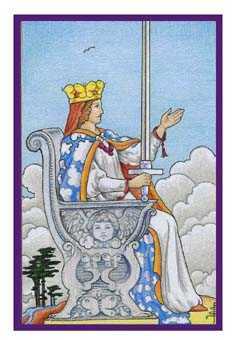 Instead of placing too much confidence in the promises people have made, harbor only those ambitions you know you can accomplish yourself. 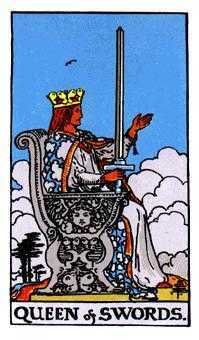 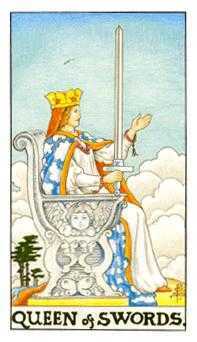 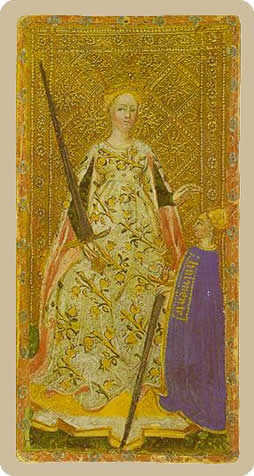 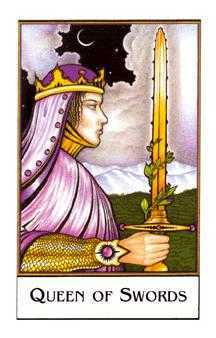 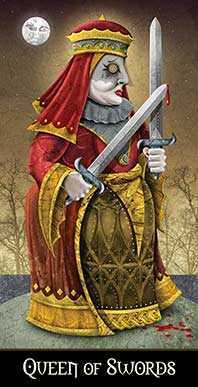 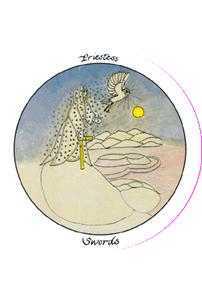 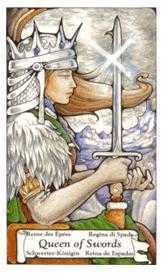 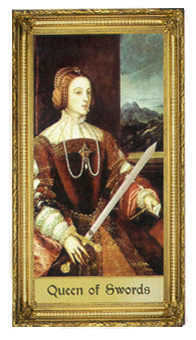 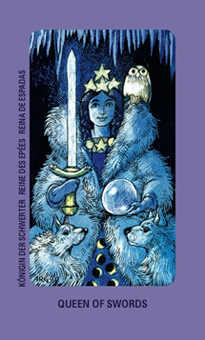 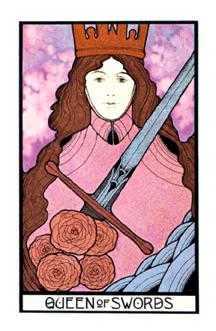 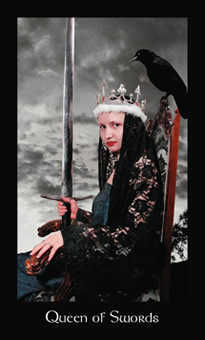 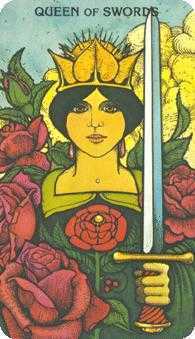 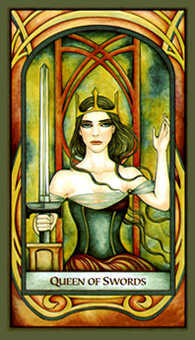 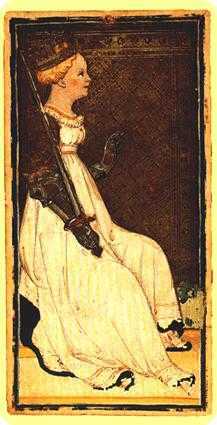 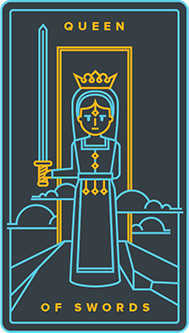 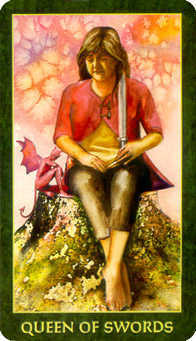 The Queen of Swords does not want to wait and see what others would think, say or do. 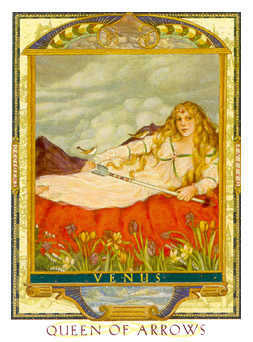 She knows what she wants and how to get it. 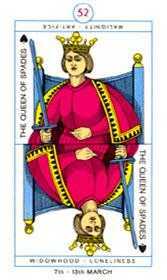 She doesn't ask permission or even subject herself to much influence. 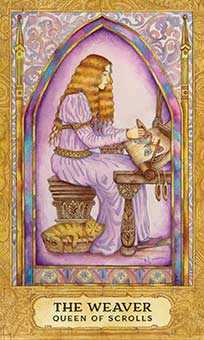 There are times in life when no one can take care of you as well as you can. 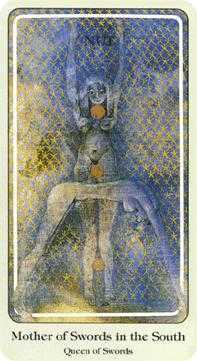 Leave sentimentality behind and take action. 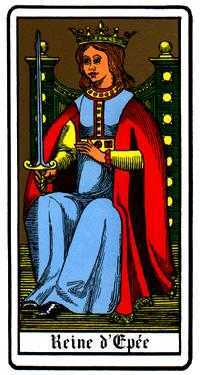 Make important decisions for yourself because it's up to you. 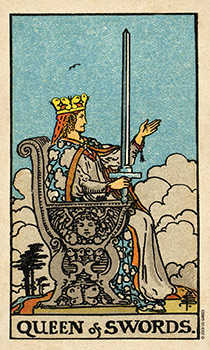 You are the final judge.